(MP253). Commander Eric Tufnell RN (1888-1979). Watercolour signed and inscribed HMS VALIANT and with ship's crest inscribed at top right..
11x 8 inches (26 x 19 cms) approx. 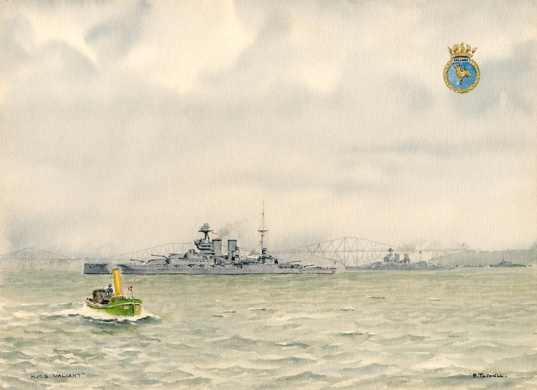 The battleship is lying in the capital ship anchorage in the Firth of Forth.